The Sundance Film Festival has revealed the lineups of its 30th edition in 2014. More than 100 independent feature films will premiere at the event next month in Utah, along with 11 documentaries. Films on offer include coming-of-age drama Laggies starring Keira Knightley and Sam Rockwell. Comedy Frank, about a wannabe musician, stars Michael Fassbender alongside Maggie Gyllenhall. Another big hitter – A Most Wanted Man – is directed by Anton Corbijn and stars Philip Seymour Hoffman, Rachel McAdams, Willem Dafoe and Robin Wright. It is based on the John le Carre bestseller of the same name. The Trip to Italy, directed by Michael Winterbottom and starring Steve Coogan and Rob Brydon, reunites the comedy pair after their six-episode BBC mini-series The Trip. It followed the duo – who spent a significant amount of the time bickering – as they travelled around England reviewing restaurants for a national newspaper. Next year marks the 30th anniversary of the Sundance Film Festival and the second consecutive year that submissions have exceeded 12,000 films. Documentaries premiering at Sundance include To Be Takai, about Star Trek actor and activist George Takei, who journeyed from a World War II internment camp to the helm of the Starship Enterprise. Life Itself recounts the surprising and entertaining life of renowned film critic and social commentator Roger Ebert, while WHITEY: United States of America v. James J Bulger, looks at the relationship between the infamous gangster James “Whitey” Bulger and the FBI and Department of Justice. The closing night film is Rudderless. Directed by William H Macy, it tells the story of a grieving father who stumbles upon a box of his deceased son’s original music before forming a rock ‘n’ roll band that changes his life. The cast includes Billy Crudup, Anton Yelchin, Felicity Huffman, Selena Gomez, Laurence Fishburne and Macy. 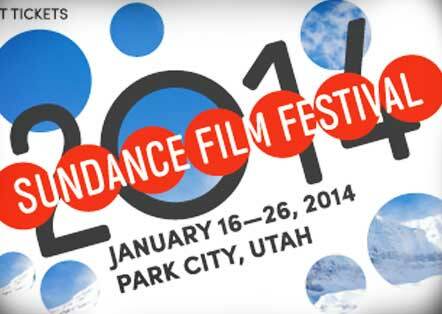 The 2014 festival takes place between 16 and 26 January in Park City, Salt Lake City, Ogden and Sundance, Utah.